Never before has the region had such a large share of youth; youth of ages 15–29 make up around 30 percent of the popu­lation, or some 105 million people. In a region in which 60 percent of the population has not yet reached the age of 30, the report predicts that such youthful demographic momentum will be of critical importance for at least the two coming decades. The report also indicates that the global financial and economic crisis in 2008–2009, coupled with political insta­bility since 2011, have had a negative impact on human development in the region. Average annual growth in the HDI dropped by more than half between 2010 and 2014 relative to the growth between 2000 and 2010. Growing inequality: Further analysis of HDI data shows also that inequality is rising in Arab countries. Home to only 5 percent of the world’s population, the Arab region has witnessed 17 percent of the world’s conflicts between 1948 and 2014, and 45 percent of the world’s terrorist attacks in 2014. In that same year, the region was home to 47 percent of the world’s internally displaced people and 57.5 percent of all world refugees including Palestinian refugees displaced by one of the longest lasting territorial occupations in modern his­tory. Exclusion and inequality continue to frustrate youth. Against this backdrop, the Report documents tremendous obstacles young peo­ple across the Arab world are facing in their personal development across the broadest range of institutions, resulting in multiple forms of cultural, social, economic and political exclusion. High unemployment: Failure to translate gains in education into decent jobs for youth in pace with population growth, not only curtails benefits of a demographic dividend but may fuel greater social and economic tensions in the region as well. In 2014, unemployment among youth in the Arab region (29.73 percent) exceeded twice the global average (13.99 percent), and according to estimates, the situation is expected to worsen in the near future. The report warns that Arab economies may not be able to generate the 60 million new jobs required, by 2020 to absorb the number of workforce entrants in order to stabilize youth unemployment. Pervasive discrimination against women: Echoing previous AHDRs, the report underlines how deep-seated discrimination, embedded in cul­tural beliefs and traditions in childrearing, educa­tion, religious structures, the media, and family re­lations, along with many legal obstacles, continues to prevent women from acquiring and using their capabilities to the fullest. Pathways from frustration to radicalization. The factors above combine to create an overall sense of exclusion and lack of opportunity that pervades much of the region. The lives of many young people across the region are marked by frustration, marginalization and alienation from institutions and the transitions that are necessary to begin adult life in a fulfilling manner. Citing recent opinion research, the report asserts that the overwhelming majority of young people in the Arab region have no desire to engage in violent extremist groups or activ­ities. They reject violence and regard extremist groups as terrorists. However, it notes that the minority that is open to participating in violent groups that claim to struggle for change continue to be active, thus become radicalized and the radical­ized can become violent, violent radicalization and violent extremism grow and are accelerating the tremendous damage they wreak in Arab countries. • The Palestinian leadership, having initiated the UN Security Council resolution regarding Israel's settlement policy, is celebrating its adoption on Dec. 23, 2016, as an affirmation of its claims against Israel. • Israel sees this resolution as a major impediment to continued peace negotiations in light of the fact that it bypasses the negotiation process in an attempt to prejudge central issues that are on the negotiating table. • The resolution (as all previous resolutions regarding Israel) was adopted under the sixth chapter of the UN Charter (Pacific Settlement of Disputes) and as such is not mandatory. Its determinations as to the lack of legal validity of Israel's settlements are no more than declaratory. • Expressions not previously included in major Security Council resolutions regarding the peace process, such as "two-state solution based on the 1967 lines," as well as references to the "Arab Peace Initiative" and the "principle of land for peace" as additional bases for peace, clearly are intended to instill concepts that have never been agreed-upon elements in the negotiating process. • The reference to the "4 June 1967 lines" as a basis for negotiations would appear to be a new element, running counter to the 1967 Security Council resolution 242, which is the basis for all of the Arab-Israeli peace process, which calls for negotiation of "secure and recognized boundaries." The Israeli-Palestinian Oslo Accords make no specific reference to the 1967 lines. As such this reference would appear to be an attempt to prejudge or unduly influence the negotiating issue of borders. 1. The text of the resolution, which is unprecedented in the extent of the condemnatory language used. 2. 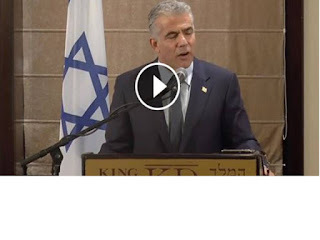 Israel's frustration at the irresponsible behavior by the Obama administration. 3. The evident irreversibility of the resolution and the potential for future damage. 4. The imbalance between accusations of Israeli violations of the Oslo Accords and the Palestinians' blatant violations of international law in their incitement and payment to terrorists. 5. 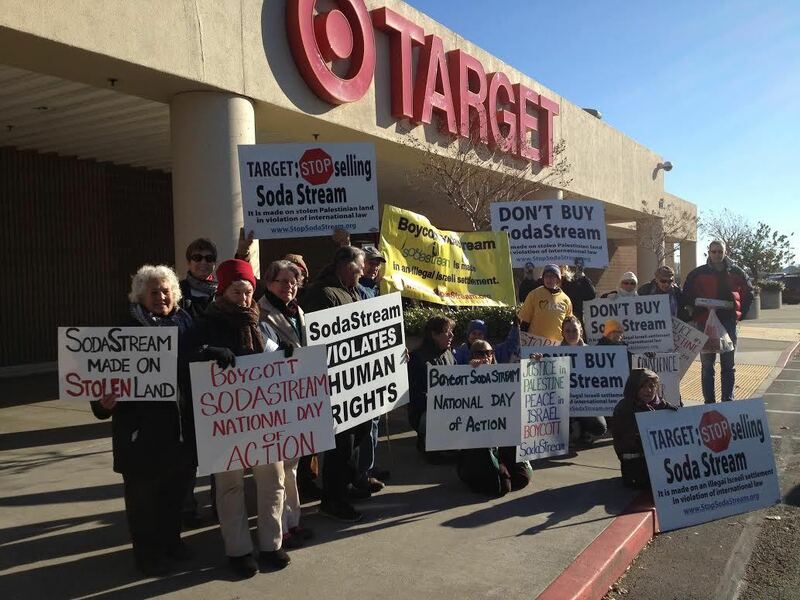 The issue of settlements is not the core of the conflict. It remains the Palestinians' refusal to recognize the Jewish State and its right to any part of the land west of the Jordan River. The US has served as a fig leaf for the UN Security Council (UNSC) for far too long. When the US would veto resolutions, the names of all those countries who voted in favour of the resolution would fade into the dungeons of unnecessary details that need not be filed or remembered. We will remember that Egypt obliged US President-Elect Donald Trump and Israel (most likely the former rather than the latter) by backing down from raising the resolution proposal to the UNSC floor. Kudos to Egypt! We will remember that Senegal, Malaysia, New Zealand and Venezuela placed the resolution back on the agenda the very next day, the last working day before Christmas and probably the last working day of 2016. Malaysia and Venezuela are no big surprise – we have no diplomatic relations with either country. But Senegal, with whom there have been warming relations and who have benefited from Israeli expertise in agriculture to name one area of cooperation? New Zealand, with whom, in spite of some rocky diplomatic snafus over the years, has largely had a positive relationship with Israel? We will remember that supposed friends and allies — the UK and France — permanent members of the UNSC, voted in favour of this resolution. We will remember that permanent members China and The Russian Federation, both looking for ways to increase cooperative ventures with Israel, voted in favour of this resolution. We will remember that those who seek our help in various technological, agricultural, security, medical spheres, and more, and who happened to be temporary members of the council at this time voted to unfairly tie our hands behind our backs in our dealings with the Palestinian Authority — Angola (Israel provides much development aid), Egypt (security cooperation), Japan (trade and research-and-development agreements), Ukraine (that signed an employment agreement with Israel in June), Uruguay (which has in recent years voted in support of Israel in various UN bodies and that has development agreements with Israel). Not a friend of Israel, Spain’s vote in favour of the resolution was par for the course. There are other countries who also seek our help yet did not have to weigh in on this vote as they are not members of UNSC. But I think that we — I know that I — will be watching to see if they go along publicly with the manipulations of the Palestinian Arabs or if they stand up for truth and justice. For truth and justice were dealt a vicious blow on the international stage yesterday. So thank-you President Obama. I am not upset with your instructions to the American UN ambassador to abstain. I am not upset by the fact that you were probably instrumental in the preparation of the resolution (according to Alan Dershowitz). Quite the contrary. I am glad that you allowed the UN to shine once more in its aura of duplicity and stupidity and turn up the light, not on foes but on friends who are foes. “You talked before about the idea that since Oslo, Israel has done little or nothing wrong, but the truth is that 2017 is the 50th anniversary of the occupation. “Is there not a deluded idea here that many Israeli politicians, including yourself, continue to believe that one can talk to the world about democracy, freedom and human rights while denying that to millions of Palestinians, and will there not come a time soon, in a year, five years, 10 years, where you and other politicians will be treated like South African politicians during Apartheid?” he asked. The summary of the article below stresses the constant incitement going on in Palestinian society in spite of Abbas's statements of "no violence". His words do not reflect what is going on in the Palestinian street. Are the statements referred top below ever reported in the international media - - not likely!! "We will not recognize Israel because it will inevitably go away. And we will not backtrack on the option of armed struggle until the liberation of all Palestine." — Khalil Al-Haya, Hamas senior official. The abandonment of Gaza by Israel in 2005 drove the Palestinian vote for Hamas the next year. It also explains why many Palestinians continue to support Hamas -- because they still believe that violence is the way to defeat Israel. Hamas believes that Israel does not have the right to defend itself against rockets and terror attacks. It even considers Israel's self-defense as an "act of terror." In yet another sign that exposes Hamas's ongoing preparations to attack Israel, the movement last week held a drill with live ammunition in the northern Gaza Strip. "What has been achieved so far is a small jihad, and the big jihad is still awaiting us." — Palestinian Authority President Mahmoud Abbas. Abbas is convinced that his "diplomatic jihad" against Israel is no less effective than Hamas's jihad of terrorism. Yet even if Abbas manages to achieve reconciliation with Hamas, this move should not be seen as sign of pragmatism on the part of the Islamist movement. Under no circumstances will Hamas relinquish its policy of the destruction of Israel and its replacement with an Islamist state. From Abbas's point of view, Hamas's terrorism will only increase the pressure on Israel to capitulate. Here Abbas has an ally in Hamas: to multiply jihads to force Israel to its knees. 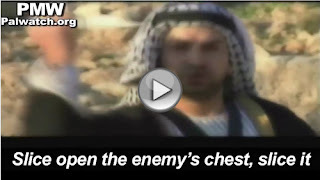 Palestinian Media Watch (PMW) closely monitors the programs shown on Palestinian TV. The incessant incitement continues without a break in spite of all agreements between Israel and the Palestinians calling for a cessation of incitement. Yet the brainwashing continues. For the full report with videos see here. PA TV chose to honor Fatah during the Seventh Fatah Conference, held from Nov. 29 - Dec. 4, by broadcasting 11 times in six days a song celebrating Fatah's terror and murder of Israelis. The Fatah movement is headed by Mahmoud Abbas, who is also chairman of the Palestinian Authority. "Slice open the enemy's chest, slice it"
"Shoot the Dashka (machine gun) and the cannon"
"The Fatah man... fires the mortar and the machine gun"
The song applauds that it was Fatah who committed what it considers to be the first Palestinian terror attack against Israel - the attempted bombing of Israel's main water carrier in 1965. "Eilabun [in 1965] was the first shot [at Israel] and Fatah was responsible"
"I have no love other than the love of the rifle." "The sound of the rifles gives us joy"
"Fatah taught me, thank you, Fatah." I have no love other than the love of the rifle." Following the wave of forest fires in Israel in the last few days, many Palestinians, Israeli Arabs and Arabs in other countries responded to the events on social media. Many responses expressed glee over the fires, and described them as a punishment from Allah for Israel's treatment of the Palestinians, especially for its "muezzin bill" aiming to prevent mosques from using loudspeakers to broadcast the call for prayer. At the same time, there were also many Israeli Arabs who condemned these expressions of joy and even called them "ignorant," and some Israeli Arab officials and individuals offered to assist and to host Israelis, both Jews and Arabs, whose homes have been damaged by the fires. The following is a sampling of the responses on social media. Expressions Of Glee Over The Fires, Claims That They Are "A Punishment From Allah"
A post in the Palestinian Facebook page "This is Nablus" stated: "Rejoice, oh Inshirah, Israel is burning, hahaha," eliciting expressions of joy and amusement from readers. Another post on the same page said: "The winds did what the Islamic ummah failed to do in order to defend its religion. The winds are Allah's soldiers..." A reader wrote in response: "Allah curse the Jews, our God can [defeat] them." A Palestinian calling himself "Sham'at Tafaul" ("Candle of Optimism") wrote: "May Allah burn the Jews and protect the Arab Muslims and Christians in Israel." A user from Haifa responded on the same page: "Of course I am not glad of the fires, because I live in Haifa, but this is Allah's punishment for banning the call for prayer... I hope no Arab gets hurt... Fire does not distinguish between Jews and Arabs, [but] Allah distinguishes between the oppressors and the oppressed..."
A response on another Facebook page stated that the fires were an Israeli attempt to incite against Israeli Arabs. It said: "I am almost convinced that all these fires were deliberately set [by Israel]. In my opinion – and I hope I'm wrong – this is one of the steps in the plan to incite against Israeli Arabs. They have already begun calling it an intifada. I don't believe in coincidences, there is a trick here." Arab world. In a post on his Facebook page, Saudi cleric Dr. Salman Al-'Odeh wished "the terrible torments of hell" on Israel. Egyptian poet Amir Teima tweeted under the hashtag "Israel is burning": "It is your right to feel that rejoicing over the fires in Israel is inhuman, and it is my right to hope the fire destroys everything in its path." A post on the Israeli Arab @we7di.48 Facebook page pointed out that the fires were also threatening Arab towns and villages: "The fire has reached Baqa Al-Gharbiyya, Jabel Al-Qafza in Nazareth, the Iksal [area] and the Arab village of Nahaf. It is destroying everything and people are being evacuated from their homes. What are you so happy about? Oh fire, turn into hail; [I hope] our people [come out of this] safe and sound." The Baqa Al-Gharbiya municipality also offered to assist Haifa residents and to host them in the town. homes because of the fires. A woman's name meaning "joy," from a well-known Egyptian song. Facebook.com/ 414842175305404, November 24, 2016. Facebook.com/7sad.batof , November 24, 2016. The disaster around us in Haifa with the multitude of fires that swept through the city resulted in a very heavy price being paid. Over 1800 homes were damaged by the fire and of those 527 are uninhabitable. Travelling around the city at the beginning of the week we were able to see the severity of the fire in a number of neighborhoods. Thankfully personal injuries were minimal, the majority of people requiring treatment, suffered from smoke inhalation. At the end of our street, the fire swept up a wadi exiting on to the street between a Golden Age Home and a private home. The first was saved with no damage whilst the private home was devastated. The building next to this private home was also affected but with minimal damage. Here lives friends of ours, a 93 year old Professor of the Technion with his wife. He told me the story how he was having a massage when he was concerned about what was going on. As he completed getting dressed there was a knock on the door and was told to evacuate immediately. He didn’t even have time to get his wheel chair (he has great difficulty walking) before he was helped out of his home and dumped on a bench on the other side of the road. With the kindness of motorists they were able to get to a point where they could contact their daughter to come and pick them up. Thankfully they have returned home already and all their prized family possession were intact. This cannot be said for other friends who lost all their possessions. They are now looking around to rent accommodation in order to bring a bit of stability to their lives. Our community is looking to help in whatever way they can. In this case treasured possession have been lost. Can they ever be recreated – unlikely. So were we being responsible in staying in our home when we were advised to leave? Certainly those families with children took a wise decision and left. We eventually did have cases packed in the event we had to leave. We did not realise just how close the fire was burning to our home. 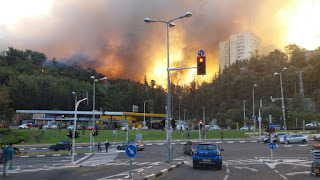 The fire in the Haifa area has been designated aa a terrorist act. What started in one area quickly spread to other areas as the wind carried the sparks from one area to another. Other fires around the country have also been designated as terror acts and so far 13 suspects have been arrested, some from Palestinian territory and a number of Israeli Arabs. Two of the arrested were caught by being seen with an infra-red camera trying to light a fire near the city of Ariel. “It was like a movie,” an Israeli firefighter who battled the blazes that swept through the northern cityof Haifa on Thursday told The Algemeiner as he recounted his experiences a day later during a rare moment of rest. Cohen is one of the hundreds of firefighters who have worked day and night over the past week in an effort to contain the dozens of wildfires that havepopped up across northern and central Israel. On Thursday, Cohen was dispatched to Haifa’s Romema neighborhood, the scene of some of the worst fires that broke out in Israel’s third-largest city. An estimated 700 homes in Haifa suffered damage in Thursday’s fires. While the fires in Haifa have been extinguished, blazes in other locations in Israel continue to burn. As reported by The Algemeiner, the Israeli cabinet will hold its weekly meeting in Haifa on Sunday. On Friday, Prime Minister Benjamin Netanyahu visited the moshav of Beit Meir in central Israel, where ten homes were burned down by a fire on Thursday night. As of Friday, no deaths or serious injuries have occurred as a result of the fires. What a day!! Driving downtown for the weekly shopping, we noticed one road sealed by the police and indications of a fire. Little did we know that this was to be the start of a day of fires in so many neighbourhoods. Homes and other buildings were damaged by blazes as 11 neighborhoods were told to evacuate; 36 were treated for injuries as other fires pop up across country and West Bank for 3rd day. The University of Haifa was also evacuated on as a precautionary move as fires raged in the northern city. In addition, trains between the northern towns of Binyamina and Hadera were halted at the request of fire and rescue services as fires neared the railway tracks in the Caesarea region. “The fire is not under control; residents should quickly evacuate,” the Haifa fire chief said, according to Walla News, as eyewitnesses described firefighters having little success in checking the onslaught of the flames. Firefighting planes from Cyrus, Greece, Turkey, Russia, Croatia were being brought in and the army’s Home Front Command called in soldiers and rescuers to aid with the effort. Four planes — two Bombadiers and a Hercules from Greece and an air tractor from Cyprus — and 49 crew members arrived Thursday morning. The planes are able to carry larger amounts of fire retardant than local aircraft. In the city’s Romema neighborhood, a large apartment tower was seen going up in flames. Israeli TV broadcast pictures of paramedics frantically moving elderly people out of a nursing home in the Romema neighborhood of Haifa as black smoke billowed overhead. Firefighters also worked to try and keep flames from nearing a gas station close to the city’s Paz bridge, next to the main fire station and a main artery going north was closed. “We’re in a state of war,” Haifa fire service spokesman Uri Chibutro told Channel 2 news. Major traffic jams were reported as residents in affected neighborhoods attempted to move to safer ground. An Israel fire service spokesman told The Times of Israel arson was suspected in Haifa based on circumstantial evidence, but nothing had been confirmed. A fire was also reported close to the Israel Electric Corporation’s huge coal-fired power station in coastal Hadera. Firefighters said the outbreak was under control. Along with the international aid, the IDF Home Front Command’s Kedem Battalion was been called in to help with the evacuations in the Mount Carmel area, an IDF spokesperson said. In addition, firefighter reservists in the Home Front Command have also been called up to assist in battling the blazes around the country. Are we leaving our home? Probably yes as a precaution, So let's start packing!! As more and more people seem to realise that anti Israel activism is nothing more that anti Social behaviour, there seems to be a trend to challenge their outrageous bullying. Lies and deceptions are no match for the truth. Even Arab countries are losing patience with the Palestinians as they begin to see what Israel can offer them in so many ways - water, health, food security, military security, to name just a few. I don’t know you personally, but I know what you do. 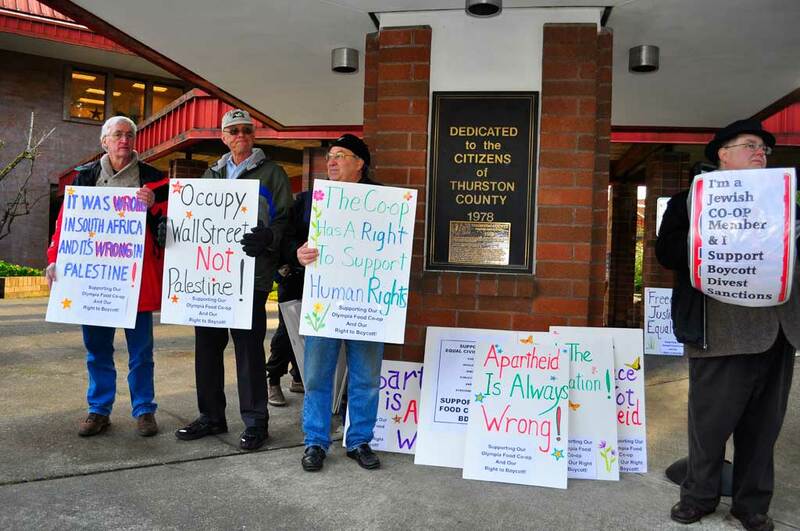 You demonstrate on college campuses, in front of stores that sell Israeli products, at co-op grocery outlets, and in the town squares of liberal places like my community of Seattle. You wear a keffiyeh and carry signs that say “From the River to the Sea, Palestine Shall Be Free” and other slogans that deny Israel’s right to exist. 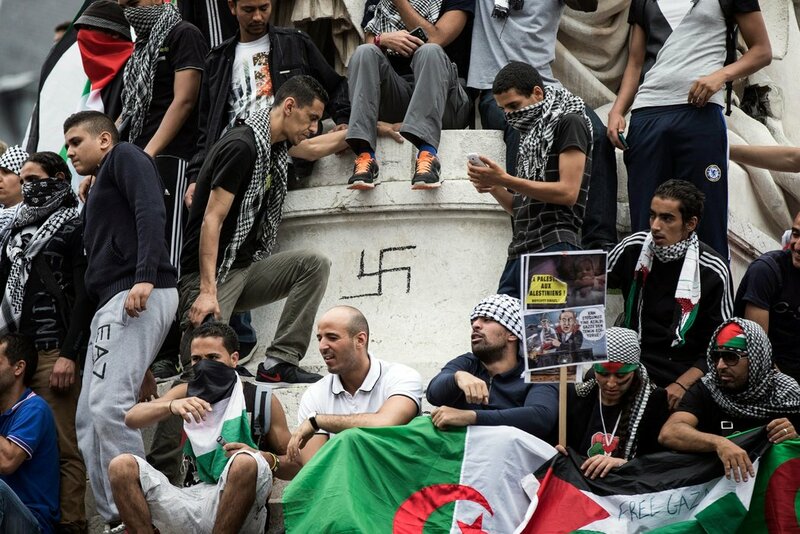 I see your swastikas and other classic antisemitic images. 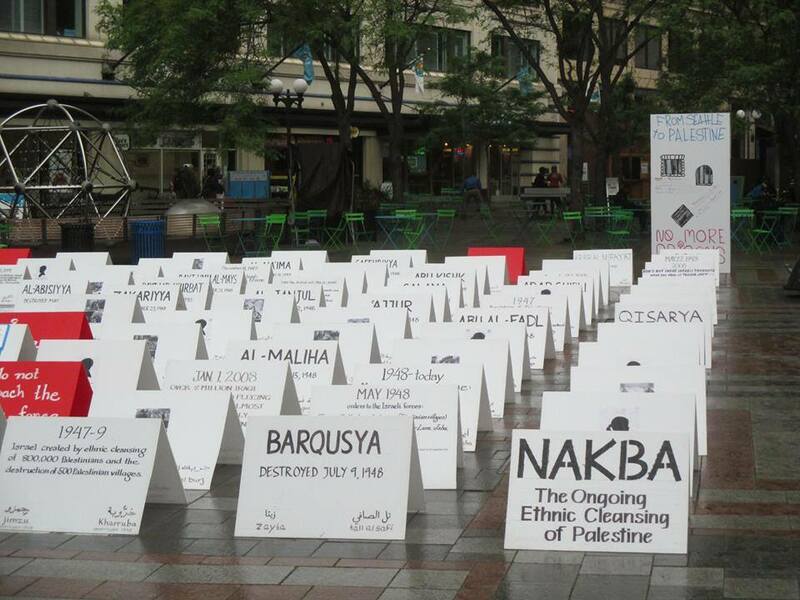 I see your placards with names of villages lost when Israel’s neighbors invaded in 1948. I see your props: child-size coffins, for a dramatic effect. 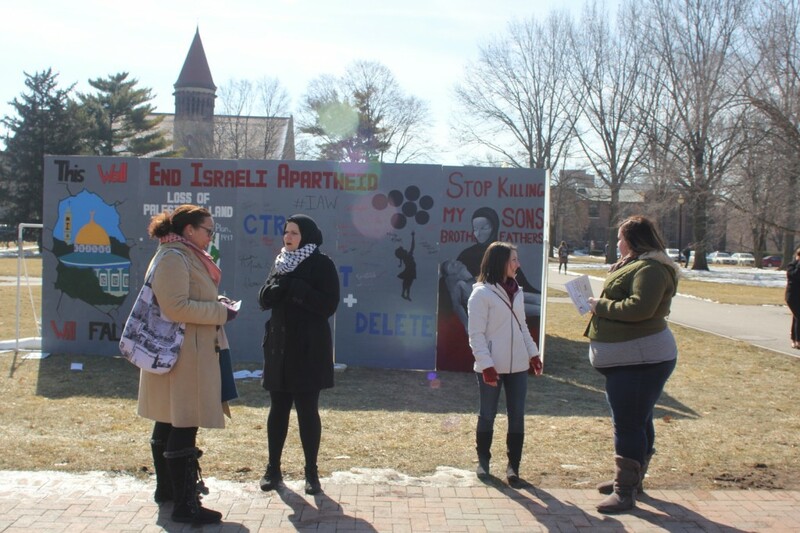 Mock “eviction notices” and “apartheid walls.” Posters commemorating the “Nakba”—catastrophe—your term for the Arab failure to destroy Israel. I hear your chants of “Intifada, Intifada” and “We are Hamas”—glorifying violence against Jews and celebrating their murder. I see you disrupt talks by Israeli scholars and experts—and even by Palestinians who support peace. I hear you call for boycotting hummus (made in Virginia! ), and petition artists not to perform in Israel, and demand that pension funds divest from one of the world’s most vibrant economies. I hear you misappropriate terms like “justice” and “apartheid” and “genocide,” divorcing words so far from their true meaning that the language is no longer recognizable. And I can’t help but wonder: How is all this vitriol, this hateful rhetoric, remotely helpful to the cause of the Palestinian people you claim to support? If you truly cared about Palestinians, you would fight the rampant corruption of the Palestinian Authority. You would challenge Palestinian leaders who rob their people to line their own pockets, who pay bounties to terrorists and their families. You would oppose Hamas in Gaza for stealing humanitarian aid, international donations, and construction materials to build rocket launchers and assault tunnels. If you cared about the Palestinian people, you would protest the thousands killed and imprisoned, the hundreds of thousands of Palestinians gassed, bombed, and displaced in Syria. But you don’t, because you haven’t (yet?) 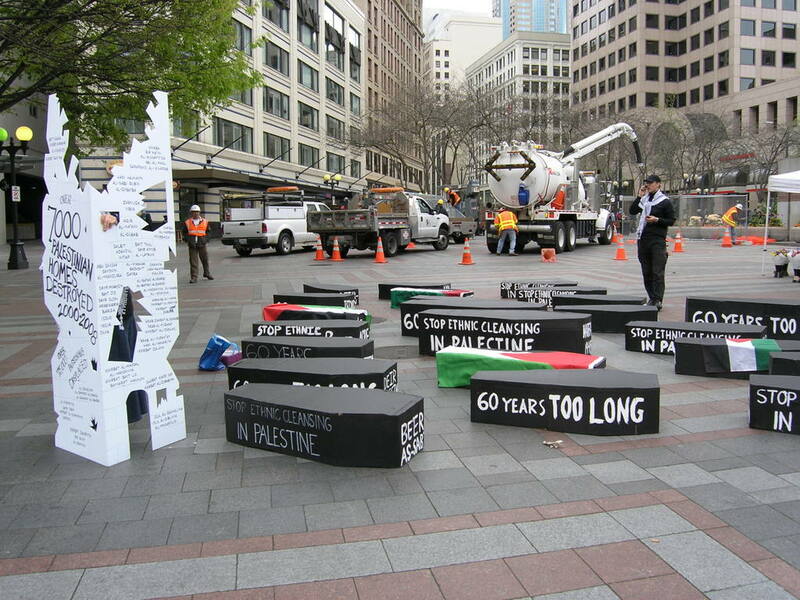 figure out how to blame Israel and the Jews for this wholesale death and destruction. If you really cared about the Palestinians, you would fight to improve their education, public health, and economic opportunities. You would advocate for dismantling the UN agency that prevents resettlement of descendants of Palestinian refugees, instead nurturing statelessness and victimhood for generations. You would object to the brainwashing of children in schools and summer camps, of youth on social media and adults in mosques and the media, indoctrination to hate and incitement to violence. If you were a true progressive, you would fight for the rights of women, of LGBTQ, and of religious minorities, all of whom suffer enormously in Arab (including Palestinian) societies. If you cared about freedom of expression and a free press, you would oppose the arrest and abuse of journalists by both Palestinian governments. And if you really cared about Palestinian statehood, you would invest in building institutions and infrastructure, and in fostering a social climate conducive to eventual Palestinian self-rule and self-sufficiency. You would educate for peace and coexistence, not violence and war. The reason you don’t do any of these things is because, in fact, you don’t care at all about the Palestinians. You represent a campaign of hate and bigotry, disguised as a national-liberation movement. You then add to it a phony veneer of social-justice and—the irony!—a sprinkle of political correctness, in order to attract well-intentioned progressives to support your cause. 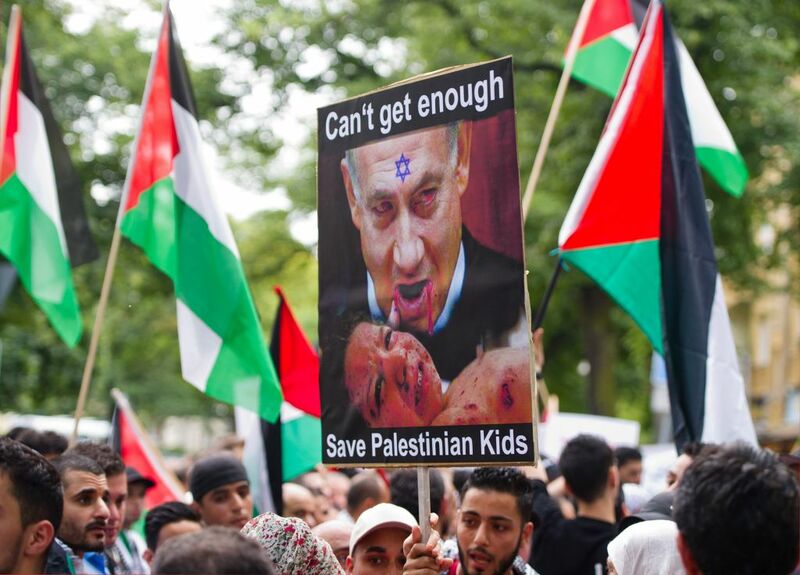 In reality, you don’t even want a Palestinian state, only to eradicate the Jewish one. (That’s what “From the River to the Sea” actually means, of course.) You don’t support dialog, or peace, or coexistence. You reject overtures at “normalization,” as though being “normal” is somehow objectionable rather than a laudable goal. You are a fraud. 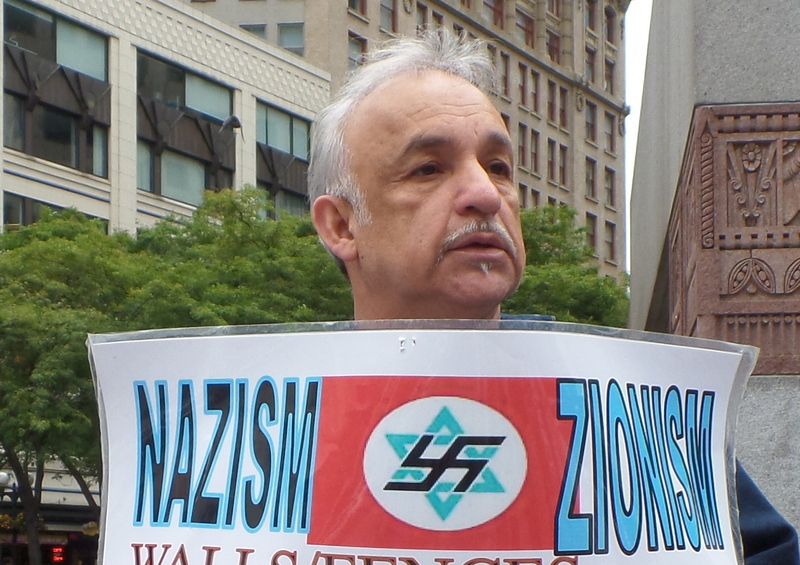 You are, of course, proudly anti-Israel and profoundly anti-Jewish. But you are also, in fact, anti-Palestinian and anti-peace. Thoughtful progressives are waking up to your true nature and looking for ways to truly support the causes of justice, of coexistence, of peace, and ultimately of the Palestinian people themselves.